Application supports basic markdown formatting so your notes are clear. 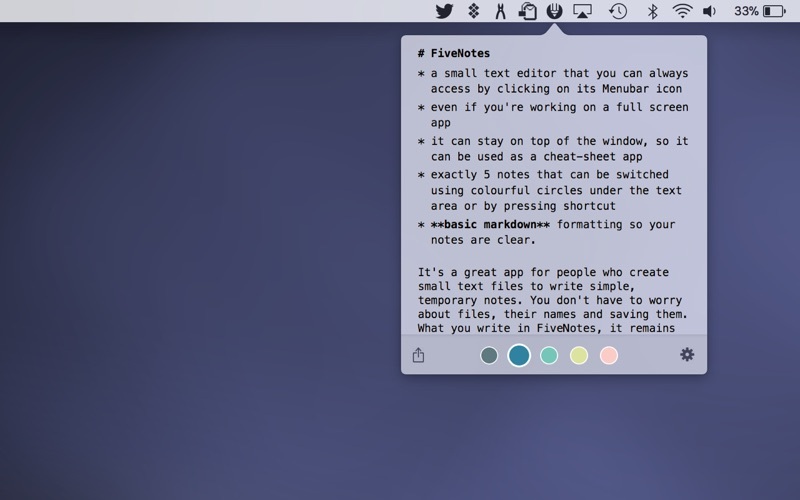 FiveNotes markdown includes headers, bold and italic text, quotes and lists (started with * or - character). 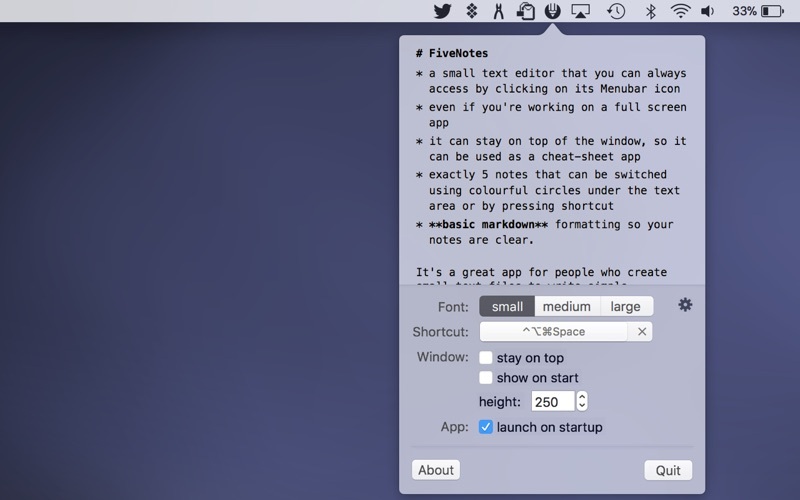 It's a great app for people who create small text files to write simple, temporary notes. You don't have to worry about files, their names and saving them. What you write in FiveNotes, it remains there. If you need to write something quickly (for example a phone number) just open FiveNotes and write it.